Size and depth aren’t what make a pool special. 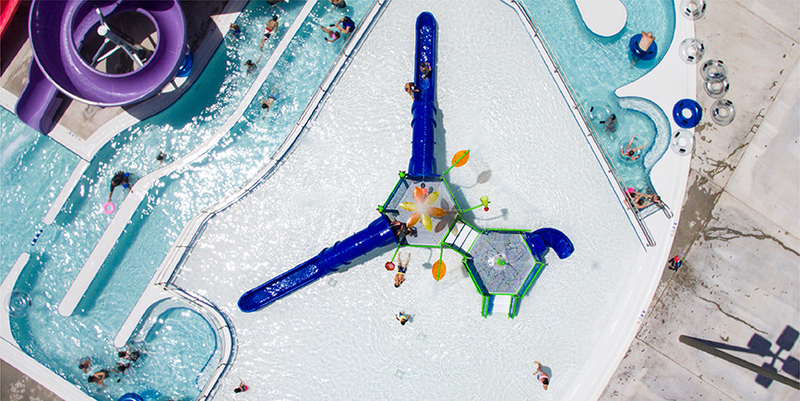 Kraftsman’s selection of aquatic playground add-ons and accessories can take your pool to the next level, creating fun and memories that last a lifetime. Choose from a variety of pool play essentials including water cannons, raining mushrooms, water wheels and jets built to fit pools of all sizes. All of our pool accessories draw water from the pool itself and do not require any additional water distribution, making them as cost-effective as they are fun. 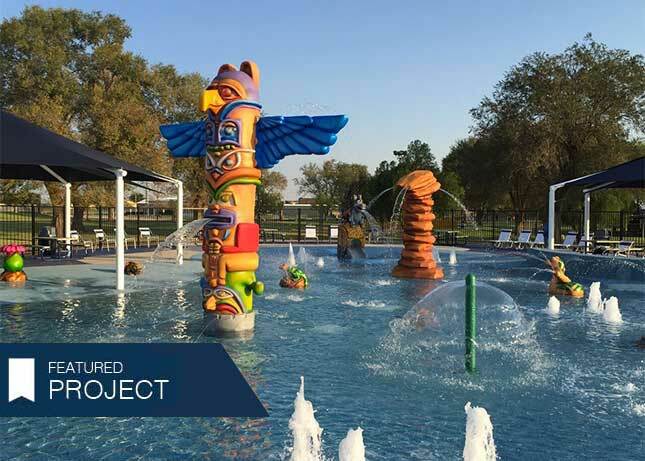 The City of Seminole wanted to provide a Splash Park with standing water to allow patrons to cool off in the hot West Texas Heat. Sand Dollar Shade canopies were utilized to provided shaded areas to sit as well as a shaded toddler area of the Splash Park. The Spray Features selected were themed to create an immersive play environment. Lounges were provided for tanning around the outside of the Splash Park and observing from a dryer area!